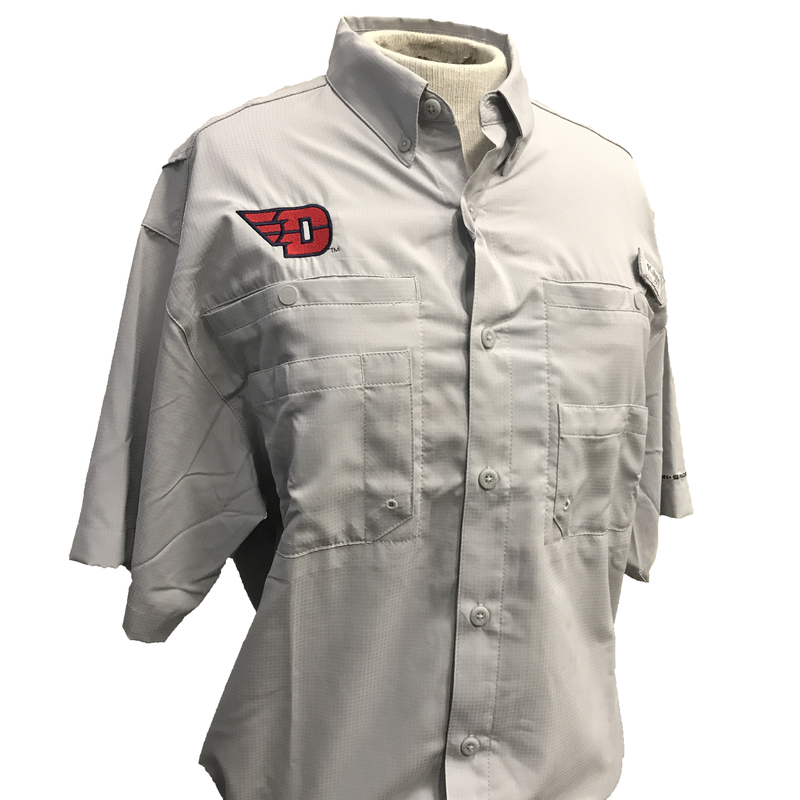 Pull on the Columbia® Dayton Tamiami II Short Sleeve Fishing Shirt for a day of wading through trout streams and hiking along the river. 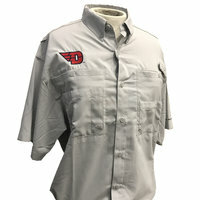 This lightweight-fabric button-up offers some shade for your shoulders in the middle of a wide open river. It wicks sweat away while you hike in the sun and dries quickly in case you take a tumble and swamp your waders. A rod holder on the chest lets you change flies with both hands, and deep chest pockets leave room to stash gear when you don’t want to wear a vest.